While today’s chatbots might be rudimentary, recent advances in AI and machine learning are creating a new generation of the programs that are dramatically changing customer service. Though chatbots have come a long way since they were first developed over 50 years ago, many of the ones used today are still pretty rudimentary. When chatbots make headlines, for example, it’s more often for their failures than for their successes. But thankfully, infamous bot bloopers like Microsoft’s short-lived Tay are few and far between. Recent advances in AI and machine learning have given rise to a new generation of chatbots that are already revolutionizing the field of customer service. A global survey carried out by Forrester Research showed that 31% of firms were using chatbots in 2016 and 2017, and that even more plan to deploy them in 2018. What led to this chatbot revolution in customer service? The answer is the unstoppable drive among both businesses and consumers for efficiency. Most consumers fear having to try and contact tech support or customer service, and for good reason: the average American consumer spends 10-20 minutes on hold per week. No one likes being put on hold, especially when they’re calling to expedite a process. Even when they aren’t on hold, many service channels funnel consumers into automated phone trees that are incredibly difficult to navigate. The response to issues like these has traditionally been to outsource customer service calls to countries like the Philippines, but it’s clear that this type of human-to-human service is not working. With low returns and astronomical costs ($1.3 trillion are spent on 265 billion customer service calls every year), it’s no wonder that firms everywhere have sought out alternatives. Chatbots are an obvious solution to the inefficiencies of the call center: always available and consistent in service, these automated phone operators could make waiting on hold a thing of the past. And the proof is already on display: online chat has been providing higher levels of customer satisfaction than both phone and email since 2013. 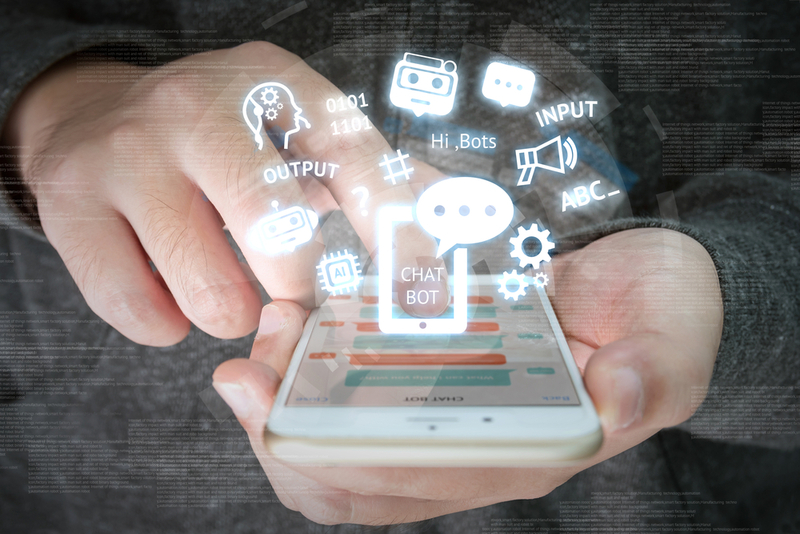 In addition to their immediacy, chatbots can also provide a wide range of services that range from simple decision tree structures to AI-powered tools that learn from every customer interaction to improve service in the future. These capabilities have a directly beneficial impact on the bottom line — Forrester predicts, for example, that adopting and using AI effectively can increase a firm’s revenues by 5-10%. Change is certainly coming to CRM, but the rise of chatbots does not mean that human roles in the field will be altogether eliminated. Though this is a constant worry when it comes to automation, new technologies tend to augment rather than eliminate human labor. When ATMs were first introduced in the 1990s, for example, many feared that they would replace bank tellers and eliminate jobs — instead, the amount of teller jobs increased overall, and ATMs took over only the most routine and dull aspects of their work. The CRM industry is likely to follow a similar course. While the nature of work will certainly change, chatbots are predicted to yield the strongest return on investment when paired with human agents, streamlining workflow so that representatives can more efficiently serve their customers. The advantages of AI are even more profound for digital marketers, who spend far too much of their time analyzing huge volumes of data and coordinating campaigns across dozens of channels and devices. Albert™, the first autonomous marketing platform built from the ground up on AI, seeks to take over those tasks. Albert collects and analyzes information from all your previous campaigns and uses it to launch dozens of micro-campaigns, testing varying creative material across channels to achieve optimal results. Start working with Albert today to free your marketing department from the drudgery of data and get back to the creative work that made them want to be marketers in the first place.